I’ve just bought a vintage Hohner Chrometta 12 in a thrift store. Is there a way to safely clean or disinfect it? What kind of regular maintenance does it require (no manual came with it)? To clean any old chromatic ,much care has to be taken when disassembling the instrument and to do the job properly the whole harmonica has to be stripped down and each component has to be cleaned individually. To do this would require the removal and eventual replacement of the wind savers(valves) from the reedplates which can then be cleaned with a short bristled soft brush and detergent,cleaning from the rivet ends so as not to catch the reeds. If the comb is timber then the comb invariably will be out of shape from years of use and usually needs replacement with a modern plastic replacement from Hohner. Thanks for your thoughtful reply. If it sounds pretty good, and looks clean, is there any harm in just playing it as is? Can you catch the last person’s germs or mold or anything? This is strictly for “around the campfire” use, not for a professional musician. Germs won’t live long in a harmonica. It’s too dry for anything to thrive. There should be no danger in playing it. If it looks all right I wouldn’t mind it myself, but many are repelled by the thought. Neil’s advice is very sound. There is little danger of infection or any other negative consequences if the harmonica is reasonably clean. Germs don’t survive for long if the instrument is kept dry. If you want to be on the safe side, try spraying the outside (mouthpiece, covers etc.) with isopropanol or a similar alcohol-based disinfectant, wipe off any excess, allow it to dry and then just play it. I would point out that the Chrometta is not an expensive harmonica, it’s designed for beginning chromonica players. As Neil says, there’s little point in having it repaired, this would probably cost much more than simply replacing it. So see if you like it, and if you do, consider buying a new instrument. 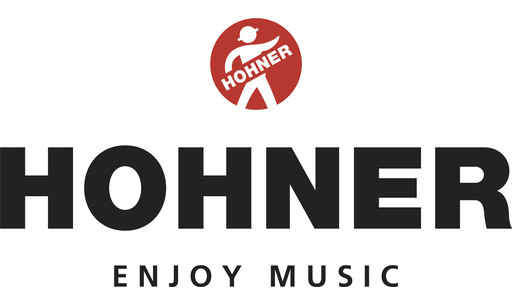 The Hohner Discovery for example is an excellent mid-level chromatic and is reasonably priced. Dunking in Listerine may work OK with plastic bodies, but I wouldn’t advise it with wooden combs. You’re absolutely right about well-intentioned purchases which get forgotten, this is the case with most musical instruments, but especially so with the harmonica, as it’s more difficult to sign up for regular tuition.